Disputed Waters is a large multimedia project initiated by a group of Dutch photographers. It is a blend of quality investigative journalism, documentary photography and videography. Together with journalists and videographers they will report on several transboundary rivers where water may become a source of conflict due to climate change. 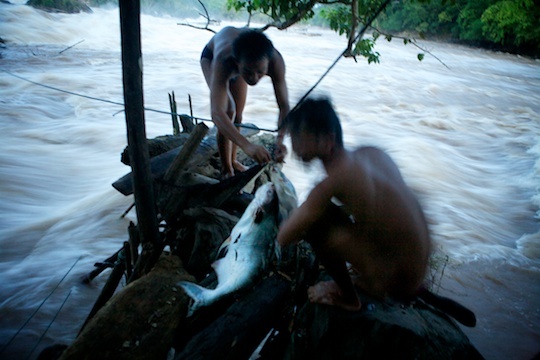 Fishermen risk their lives every day, just to catch a meal of fish, in the raging Khone Falls of southern Laos. Disputed Waters, Proudly powered by WordPress.